Hi guys!! Lately I have been in love with this album ♥. I just can’t stop listening to it :). 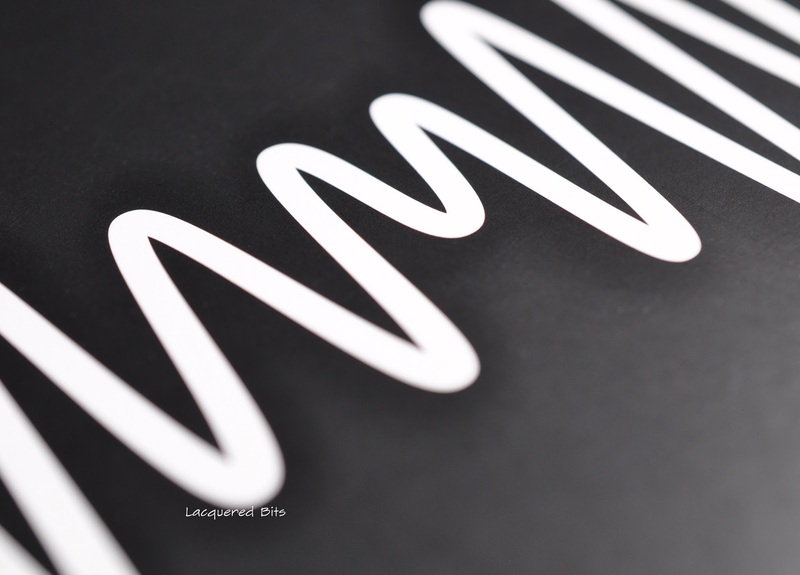 It is Arctic Monkeys – AM and it contains some great lyrics and music. As you can see I decided to recreate this album’s cover as a mani on my nails. Weather I failed or succeded I am going to let you to decide. 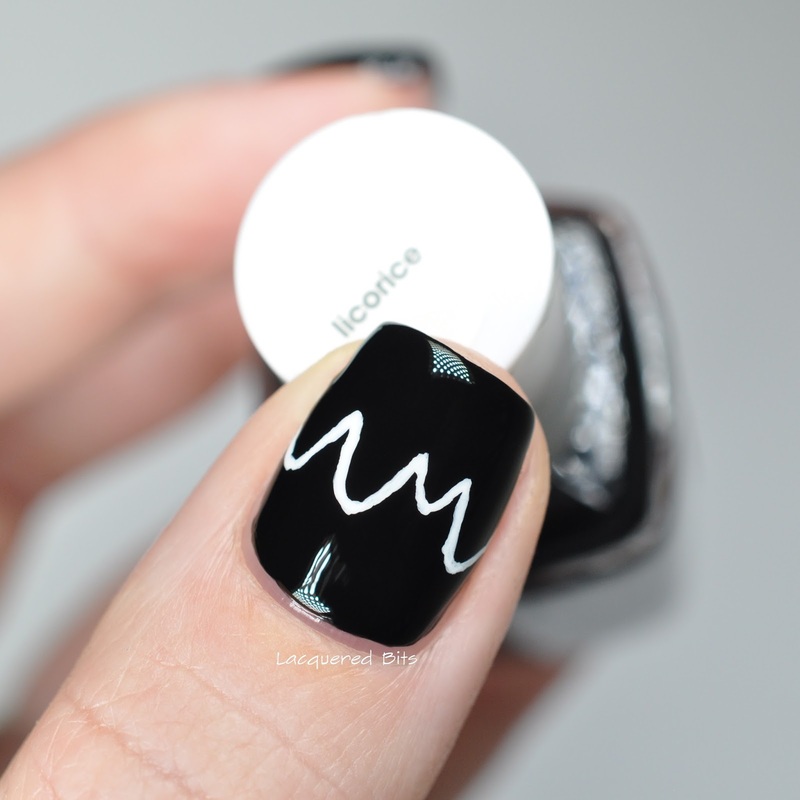 As my base I used Essie – Licorice on all of the nails. 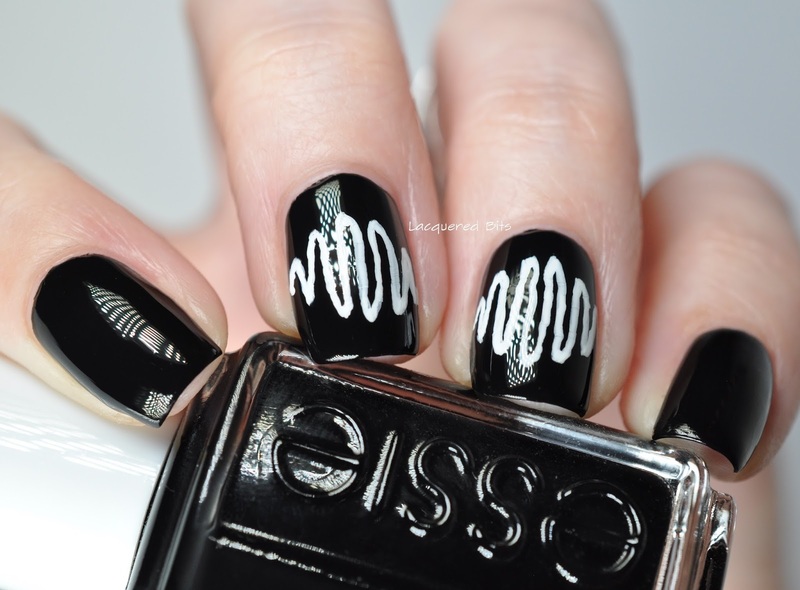 And then I used white acrylic paint to paint the frequency waves. My hands weren’t the steadiest but I think the waves look great. 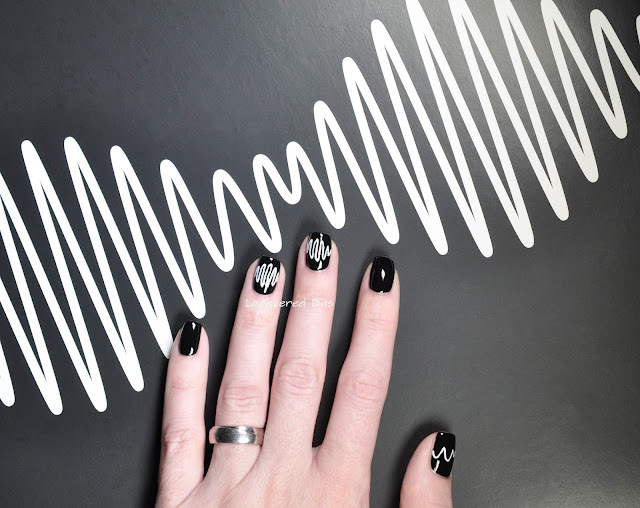 And on my thumb I did the middle of the waves on the album that state AM. To seal the mani I used Essie – Gel Setter. So let me hear your verdict. I know it’s not a hard mani, but the waves were giving me so much trouble. I just couldn’t make straight lines. Thank you for reading! Peace!! 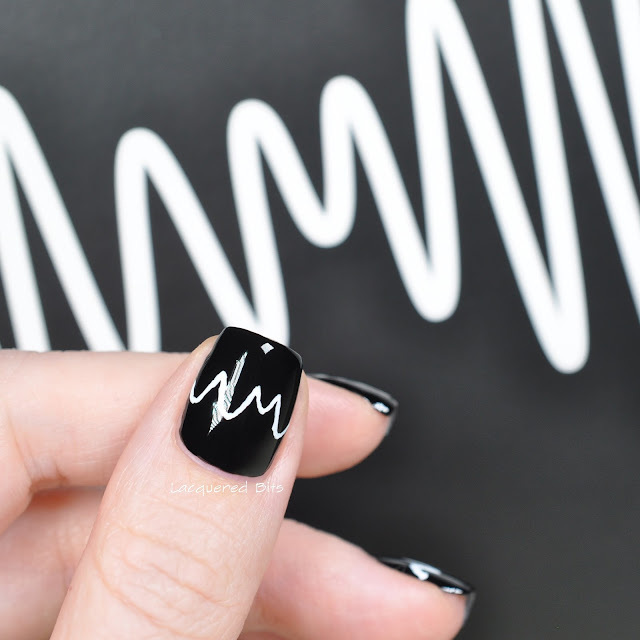 Not a fan of Arctic Monkeys, big fan of your blog 🙂 Love the mani!